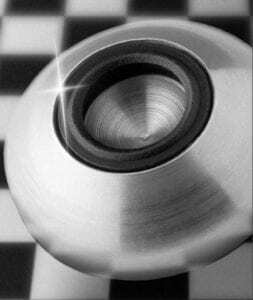 There are a variety of materials available for foot plates and spindle materials of levelling feet. These include polyamide, plated steel, and stainless steel. It is also possible to have levelling feet that are approved to medical, food, and hygiene industry standards. The rubber pad material of these parts is oil and water-resistant, ensuring the longevity of products in cases of contamination of the foot plates. Additionally, the rubber can be UV resistant, non-marking, and anti-bacterial upon request. These unique benefits demonstrate the importance of rubber in such products. All foot plates need to be able to withstand the correct load. Our standard foot plates have been designed for loads up to 500, 900, 1000, and 3000 daN depending on the foot plate selected. Stainless steel foot plates guarantee optimum hygiene by way of a sealed couple foot. It is this feature that makes these types of levelling feet very well suited to environments containing food or special chemicals. You have the ability to choose self-aligning levelling feet if appropriate. The heavy duty self-aligning foot plates are able to withstand loads of up to 4500 daN. All of our spindles are either made from zinc coated steel or stainless steel. Each spindle can be matched with a variety of foot plates. It is extremely important to have the right materials and sizes of levelling feet, depending on their intended use. 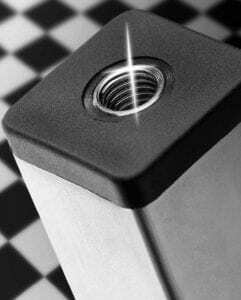 At GMT, having the range of sizes and materials that we have available, our levelling feet are extremely flexible to be suitable for different applications. Our levelling feet have a high-load capacity and are therefore suitable for a variety of applications. Assembling levelling feet is a quick and easy process depending on the combination of spindle, footplate and anti-slip pad required. 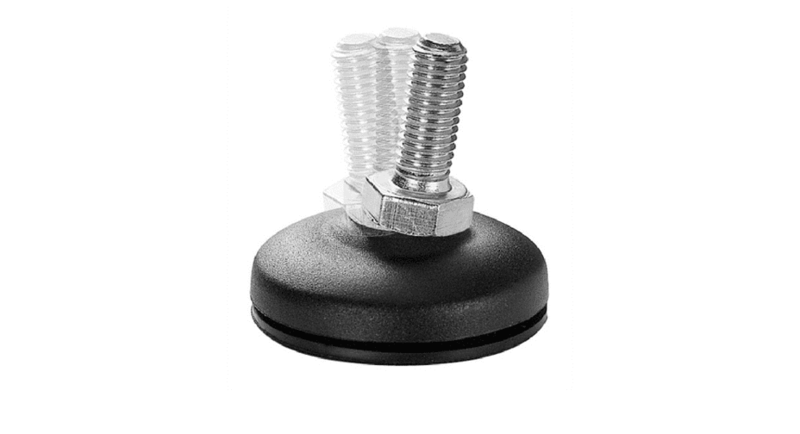 For standard foot plates, the ball at the base of the stud is pressed or gently knocked into place in the opposing female spherical void in the footplate, the nuts can then be threaded onto the spindle and the anti-slip rubber pressed into place on the base. The self-aligning feet are assembled through using the assembly set, the spindle is inserted into the base and secured into place using the fastening set threaded fastener through the base of the footplate into the spindle. If you would like to enquire about purchasing some levelling feet, please contact us and we will be happy to assist.